Have you been waiting for the perfect day (and some meaningful inspiration) to get your tattoo? There's no better way to celebrate Earth Day than... well, than planting a tree or doing a beach cleanup. But the second best way? Getting a tattoo that shows the world — and reminds you — just how much you love this big blue marble we're spinning around on. 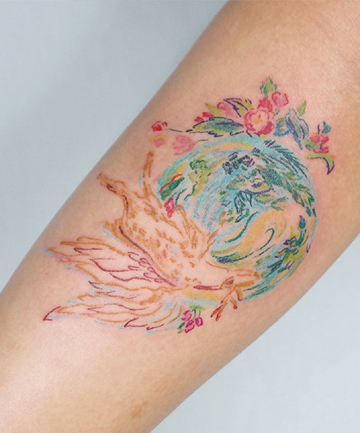 Keep on reading for some truly great Earth Day-inspired tattoo ideas.